My name is Judy and I am excited to join the Youth Advisory Program at the Center for Young Women’s Health. I am currently a junior at Boston Latin High School and at the moment, I am interested in nonprofit work, the medical field, and computer science as possible career paths. 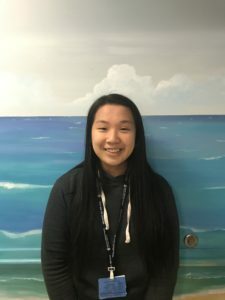 I decided to become a peer leader because I wanted to experience a hospital setting as well as have the opportunity to represent youth and contribute to an organization. Something about me is that I am a part of the powerlifting team at my school. I enjoy spending time with my team members and learning new skills from my coach. Although I have only been lifting since the beginning of junior year, I have fallen in love with powerlifting because of the empowering feeling and challenges of the sport. Outside of school, I volunteer at a local nonprofit center to help low income families. This has been one of the most influential experiences of my life. Besides volunteering and dedicating time to school, I enjoy spending time with my close friends and roaming around Chinatown and exploring new places to go to in Boston. We always seem to spend our money recklessly at hangout bubble tea places and at different diners in Boston. Something I feel passionate about is spreading positivity and voicing my perspective as an evolving teenager. I hope I can contribute positively and impactfully with my peers at the Center for Young Women’s Health.